New technologies often have great potential and promise much, but also need to be assessed adequately in order to ensure that they are safe, as well as environmentally and socially sustainable. Genetic engineering and genetically modified organisms (GMOs) are examples where, despite promises and expectations of benefits, concerns remain over their potential risks to human health and the environment. Moreover, there are many socio-economic considerations that need to be taken into account, particularly in developing countries. Genetically modified foods (known by their acronym GM) have been in the human diet since the mid 1990's. Are they safe to eat? What are the environmental impacts of GM crops? The answers to these questions are still in controversy. How can they be ascertained then? What methodological tools can reliably assess the questions posed by the products of genetic engineering? Such methods, procedures and lines of research have been in development in the last two decades and are known collectively as biosafety. In July 2008 a group of some 40 public servants, activists and academics from many countries, including Rwanda, Iran, Cuba, China, Mozambique, Guyana, Nepal, Palau, Jordan, Indonesia, Chile, Honduras, Sudan, Puerto Rico and many others, met in Tromsø University's Institute of Gene Ecology (GenØk), in Norway's far north, for a two week international biosafety course. Faculty and presenters included internationally renowned experts in the fields of biology, modern biotechnology and biosafety, from countries such as the United States, New Zealand, Italy, Hungary, Malaysia, Austria and Switzerland. The course was in English but many hallway conversations were in Norwegian, Spanish and Portuguese, plus a little Chinese, Arab and French could be heard too. The course, offered every summer, was conceived with the purpose of training citizens from various sectors such as civil society, the scientific community and public service, to approach the subject of biosafety in an intelligent and learned manner and to make a significant contribution to the global debate on biotechnology. Scholarships for the course are generally reserved for applicants from low income countries of the Global South not only because these nations' economic limitations place them at a great disadvantage when facing the global superpowers that dominate biotechnology but also because the majority of these countries enter the biotechnology debate not as producers but as importers of GM produce. GenØk "provides a more holistic perspective on the issue (of modern biotechnology) than other institutions and sets the core gene ecology science in context with some of the underlying technical, economic and social drivers influencing biotechnology and biotechnology regulation", says Peter Johan Schei, leader of Norway's delegation in international biosafety negotiations and GenØk board member. "This is a very ambitious and challenging task, yet one highly needed in a global discourse which often is highly fragmented and where the motives behind argumentation are not always fully obvious." Defenders of GM products insist that there is no scientifically valid evidence that they present any hazard. If there is no such evidence, their safety is still not proven. After all, absence of evidence is not evidence of absence. They assume that the necessary safety testing has already been done and point to the US Food and Drug Administration (FDA), which in 1992 inequivocally declared that GM foods are perfectly safe. But the FDA does not test GM foods, it only accepts studies from the companies that make them. And almost all of these are classified as confidential business information. Critics question the legitimacy of such secrecy. "If they are safe, why the confidentiality? ", they ask. "Consultation with the FDA on GM food safety is a voluntary exercise, in which the agency receives summaries without data and conclusions without foundation," says researcher Jeffrey Smith in his book Genetic Roulette. "If the company claims that its foods are safe, the FDA has no further questions. Thus, GM varieties that have never been fed to animals in rigorous safety studies and probably never fed to humans at all are approved for sale in grocery stores." The FDA "almost totally relies on voluntary notification by the biotechnology companies that they carried out their own safety assessment of the GM crops they want to release commercially," according to Hungarian scientists Arpad Pusztai and Susan Bardocz. "The FDA has no laboratory of its own and never underwrites the safety of GM crops/foods." Pusztai and Bardocz hold that the publicly available data on GM organisms are so scarce that it is impossible to establish reliable and reproducible factual conclusions that are fully supported by experimental evidence. "Neither is it much help that data obtained by the biotechnology companies are seldom published and therefore these results are unavailable for most scientists. In the few cases when the industry's own risk assessment results have become public knowledge and they revealed statistically significant differences between the GM and non-GM crop/food, the GM biotech industry denied that these differences had any biological significance. When independent scientists find such differences they are vilified." The FDA did carry out its own tests on GM foods, but only once. The now declassified documents of this inquiry show that staff scientists were divided over the safety of these products and that some of them openly expressed major misgivings about them. Nevertheless the FDA approved GM foods for consumer use. The published scientific literature on the human health implications of GM foods consists of hardly more than 20 studies (as of 2008). In a study published in Nutrition and Health, I. F. Pryme and R. Lembcke observe that studies on GM foods that are not funded by industry tend to find problems with serious human health implications while the industry-funded ones never find any problem. "Safety Testing and Regulation of Genetically Engineered Foods," a report by William Freese and David Schubert (Biotechnology and Genetic Engineering Reviews, 2004), concludes that the evaluation process for GM foods in the United States is not effective, as it is based on poor research and erroneous assumptions. The few instances in which safety tests of GM foods carried out by industry have become public have given abundant reason for concern. An internal Monsanto report leaked in the European press revealed that rats fed the company's Mon 863 genetically modified corn had major health problems, including abnormally high white blood cell counts, liver necrosis, reduced kidney weight, and high blood sugar. Then there is the issue of the environmental impact of GM crops. According to Wolfanberger and Phifer (Science, 2000), the most pertinent questions about the environmental safety of GM crops have not yet been made, and Snow et. al (Ecological Applications, 2005) compiled an extensive list of important questions that regulatory authorities have to ask before environmental release of such crops. Very few of these have been addressed in the data that companies submit to the FDA. The environmental impact of GM organisms is further complicated by the fact that these are living organisms, which can—unlike the products of other technologies—reproduce and spread, in the case of plants by seeds or pollen. This process is known as genetic contamination. In the words of Swiss agricultural biologist Angelika Hilbeck, the "release of self-reproducible biological organisms is potentially irreversible and adds a dimension in complexity to previous technology introductions." 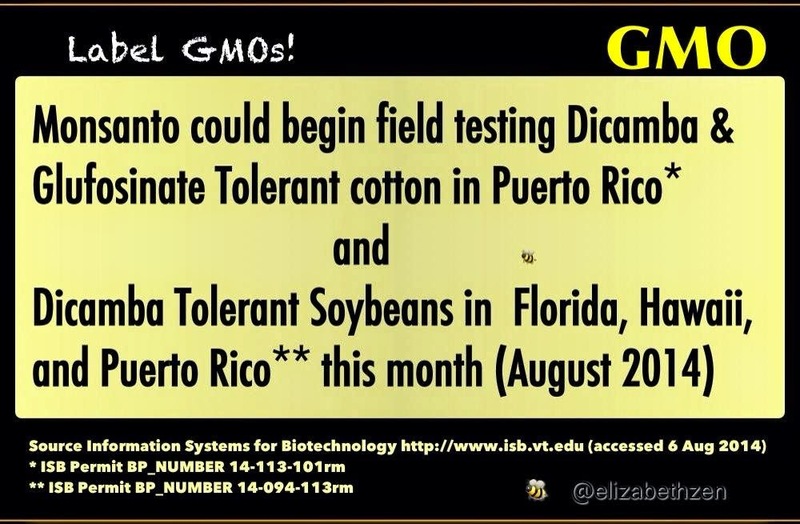 According to a report by the Union of Concerned Scientists (UCS), laboratory tests showed that corn, soy and canola varieties in the US that are supposed to be GM-free are actually contaminated with transgenic genetic material. These findings led the UCS to believe that the levels of contaminated seed oscillate between 0.05% and 1%. This may not seem like much. But if only 0.1% of the non-GM corn seed supply is contaminated, that's the equivalent of 25,000 50-pound bags of seed corn, or 24 large tractor-trailer trucks full of corn seed. "Seeds will be our only recourse if the prevailing belief in the safety of genetic engineering proves wrong," warns UCS. "Heedlessly allowing the contamination of traditional plant varieties with genetically engineered sequences amounts to a huge wager on our ability to understand a complicated technology that manipulates life at the most elemental level. Unless some part of our seed supply is preserved free of genetically engineered sequences, our ability to change course if genetic engineering goes awry will be severely hampered." The GMO Contamination Register, an information service set up by Greenpeace International and Genewatch UK, has reported 142 instances of genetic contamination worldwide since 1996. The furtive presence of GM corn in Mexico, where it was never authorized for planting, was first reported in Nature magazine in 2001 by University of California scientists Ignacio Chapela and David Quist. 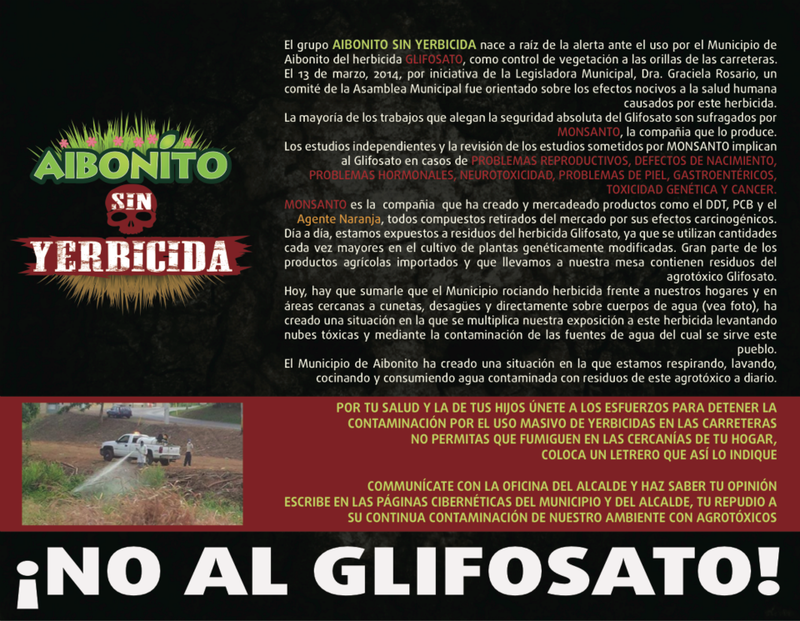 Pro-industry scientists and think tanks undertook a major campaign to discredit the Chapela-Quist findings, but in 2002 a study commissioned by the Mexican government found that as many as 95% of the corn fields in the states of Oaxaca and Puebla had GM contamination. The transboundary movement of GM organisms and products is regulated by the Biosafety Protocol, also known as the Cartagena Protocol. "For the first time in international law, there is an implicit recognition that GMOs are inherently different from naturally occurring organisms, and carry special risks and hazards, hence the need to have a legally binding international instrument," says Lim Li Lin, coordinator of the Third World Network's Biosafety Programme. "The Protocol recognizes that GMOs may have biodiversity, human health, and socio-economic impacts, and that these impacts should be risk assessed or taken into account when making decisions on GMOs." The Protocol, signed by 147 countries as of summer 2008, was adopted in 2000 after years of contentious negotiations and entered into force in September 2003. Its ratification was achieved through the efforts of developing country delegations, organized as "the Like-Minded Group." On the opposing side, the country delegations that did not want a legally binding protocol and were hostile to the very idea of biosafety, was "the Miami Group." This small but powerful group was led by the United States and included Australia, Argentina, Chile, and Uruguay. None of the Miami Group members have signed the Protocol. To sign on to the Protocol, countries must also be members of the UN Convention on Biodiversity (CBD), an international agreement for the protection and sustainable use of biodiversity signed by 191 countries as of summer 2008. The Untied States has refused to sign either the CBD or the Protocol, but a number of GM crop producers have, including Brazil, China, India and South Africa. The delegates of Protocol signatory countries meet approximately every two years for a negotiation session known as the Meeting of Parties (MOP). The MOP's always take place right before or right after the biannual CBD meeting, known as the Conference of the Parties (COP), which is why both events are known jointly as COP-MOP's. The most recent COP-MOP meetings took place in Curitiba, Brazil (2006) and Bonn, Germany (2008). The next one will be in Nagoya, Japan, in 2010. But the Protocol and its enforcement have been bogged down by an impasse on the twin issues of liability and redress. A binding liability regime implies, among other things, assessing the damages caused by the products of genetic engineering, who will be liable for these damages and losses, how the victims will be compensated, and how the affected environment will be restored. "Developing countries had always argued that if GMOs are as safe as industry and the producing countries claimed they were, then they need not have to be concerned about strong liability and redress provisions, which would give more confidence in their products," according to Lim Li Lin. "In fact, the inclusion of substantive liability and redress provisions in the Biosafety Protocol was seen as critical to its success." According to Ethiopian scientist Tewolde Egziabher, one of the leaders of the Like-Minded Group, "It is not surprising that the process of negotiating (the Protocol) has been very divisive. It is equally not surprising that it satisfies nobody completely. Time will show whether negotiating it has set a good precedent to ensure the safety of emerging new technologies." "The Protocol is just a start of the long and difficult road to effective international regulation of genetic engineering," says Lim Li Lin. "Much more needs to be done, and countries must act to ensure that real biosafety becomes a reality." The Cartagena Protocol is based on the Precautionary Principle, a scientific concept formulated to aid in making decisions related to human health and environmental protection when faced with substantial risk and uncertainty. The Principle holds that when faced with risks posed by human activities (such as the introduction of new technologies) the absence of scientific certainty shall not be used as an excuse for not taking preventive action to protect human health and the environment. It also places the burden of proof on the proponents of the activity in question, rather than on those who question it. "Within the general use of technology it has been those who claim an existence of yet unproven effects who have had the burden of demonstrating that the activity in question is causing harm to health or the environment," says GenØk professor Anne Ingeborg Myhr. "With the employment of the precautionary principle, the burden of proof is shifted to the proponent who now needs to demonstrate that the activity is necessary and that it will not harm health or the environment. This is reflected in the Cartagena Protocol." The United States government and conservative sectors oppose the Precautionary Principle for allegedly being too political and biased against scientific advancement and economic development. They endorse as an alternative the concept of substantial equivalence. Applied to food biotechnology, substantial equivalence establishes that if a food has compositional and nutritional qualities that are the same or similar to its non-GM counterpart then it has no novel risks and can therefore be approved for consumption without any further testing. Advocates of the Precautionary Principle, such as New Zealand biosafety expert Jack Heinemann, argue that such a position is absurd and scientifically indefensible, and use mad cow disease to make their point. Such a disease is undetectable using methodologies based on substantial equivalence, since a mad cow has the same biochemical components (like amino acids and nucleic acids) as a healthy one. According to Kuiper et al (Nature, 1999) the application of substantial equivalence does not constitute a valid risk asessment. And Millstone et al (Nature, 1999) hold that the chemical similarity between GM foods and non-GM foods does not constitute evidence that they are safe to consume. Although useful as a starting point for biosafety inquiries, substantial equivalence by itself does not establish whether GM products are safe or not, according to Bardocz and Pusztai. The precautionary principle is based on a holistic view of nature. The holistic view, also known as holism, is an interdisciplinary vision which conceives every natural system as an integrated whole, which cannot be understood if broken down into its constituent components. In the holistic view, the whole is not the same as the sum of its parts. "The holistic concept is approached by the inclusion of all potential risk areas (human, animal and ecosystem health; socioeconomic; cultural; ethical, etc.) within the same conceptual framework", explain Lim Li Ching and GenØk founder Terje Traavik. "Moreover, it integrates the legal, regulatory and policy issues, as well as public participation issues, providing a solid foundation on which genetic engineering and GMOs can be assessed". The holistic world view asserts itself as an alternative to reductionism, which is the concept that has guided genetic engineering since its inception. In the reductionist world view every system can be known and understood through the study of its parts. Is holism necessarily better than reductionism? Or viceversa? According to GenØk scientists D. Quist, K. Nielsen y T. Traavik, holistic methods and models will not replace the reductionist ones, but will complement them instead. "If you are holistic all the time, you probably would make little progress. If you are reductionistic all the time, you can really go wrong",says GenØk's Peter J. Schei. In his view, it is necessary to balance both perspectives. The precautionary principle and the holistic world view are applied to biosafety in a concrete way in the field of gene ecology. This new area of research studies the interactions between hereditary materials and their surrounding environment in the broadest sense. It includes the organization, function and transmission of genes and nucleic acid fragments in different ecosystems and in the context of varying ecological parameters. "Gene ecological research must be based on knowledge from functional genomics and other modern biosciences, combined with ecology, evolutionary sciences, biotethics, social sciences and the philosophy of science", according to Lim Li Ching and T. Traavik. "Since human-made changes crucially influence the ecosystems, and there is also a social context in which scientific interventions occur, social scientific approaches must be included in the working hypotheses, research designs and impact analyses." Concerns about the negative impacts of modern biotechnology are scientifically valid and thus do not deserve to be dismissed as ignorance or fear of the unknown. It is quite rare to find spaces, like GenØk, in which the subject of biosafety can be discussed with solid scientific foundations and free of industry pressure. Misgivings about GM foods and products do not constitute opposition to all biotechnology, as the industry claims. What institutions like GenØk advocate is a very cautious and precautionary approach to modern biotechnologies so as to harness the benefits and adequately assess and minimize the risks. Ruiz-Marrero is a Puerto Rican author, investigative journalist and environmental educator. He is a senior fellow of the Environmental Leadership Program and a Research Associate of the Institute for Social Ecology. "La ciencia no es neutral ni objetiva. La ciencia siempre tiene ideología y un sentido político. La ciencia puede aportar a la liberación o al sometimiento. La ciencia puede ser aliada de las corporaciones o estar al servicio del pueblo". Homenaje en el Festival Internacional de Cine Ambiental 2014 a Andrés Carrasco. ¡No al maíz transgénico: no nos hace falta! El maíz transgénico no nos hace falta para la autosuficiencia alimentaria. Privatiza las ganancias mientras socializa el riesgo y persigue el totalitarismo alimentario. En su más reciente embestida, los consorcios multinacionales de semillas transgénicas buscan sorprender a los gobiernos de los países en desarrollo que, como el de México, funcionan desconectados de sus comunidades científicas independientes. Proclaman que no hay evidencias científicas de que los cultivos transgénicos dañen la salud humana o la ecología. La modificación de la actual legislación equivale a avanzar aún más en la privatización de las semillas, prohibiendo la reutilización que los productores hacen de aquellas que obtienen en sus propias cosechas. De este modo se viola el derecho fundamental de los agricultores a seleccionar, mejorar e intercambiar las semillas libremente. Las semillas son patrimonio de los pueblos y no de las corporaciones. ¡NO A LA PRIVATIZACIÓN DE LAS SEMILLAS Y LA VIDA! ¡FUERA MONSANTO Y LAS CORPORACIONES DEL AGRONEGOCIO DE AMÉRICA LATINA! ¡POR UNA AGRICULTURA PARA ALIMENTAR Y EN MANOS DE LOS PUEBLOS! Materiales para difundir la Campaña - Multipliquemos las resistencias! Con este libro, intentamos narrar la resistencia en México contra la imposición del maiz transgénico, algo inmerso en un contexto más amplio de defensa territorial, defensa de los bienes comunes —la tierra, el agua, las semillas, el bosque y los saberes. Esta amplia defensa nacional e internacional emprendida por comunidades rurales indígenas, campesinas, comunidades urbanas y organizaciones de la sociedad civil desembocó en el proceso de visibilidad, vinculación y sistematización que entraña el Tribunal Permanente de los Pueblos. Reunimos entonces los agravios y los dictámenes que durante más de un año acuerparon y sistematizaron el pensamiento de infinidad de comunidades por todo el país y el razonado juicio de personas, nacionales y extranjeras que, en calidad de jurados, nos ayudan a entender el proceso completo del ataque a la vida campesina y sus procesos de subsistencia, y el papel que la invasión transgénica juega en este acaparamiento que busca ser total. El corolario es que abriendo espacios de reflexión activamos un camino de lucidez colectiva que le sirve no sólo a México sino al mundo entero. ¿Pruebas de algodón transgénico en Puerto Rico este mes? Esta información nos la suministró la activista Pamela Drew por vía de Twitter. Casi veinte años de cultivos transgénicos ¿Qué nos han dado? Al contrario de lo que prometían las empresas, la realidad de los cultivos transgénicos, basada en las estadísticas oficiales de Estados Unidos –el mayor productor de cultivos transgénicos a nivel global– muestran que éstos han tenido menor productividad por hectárea que las semillas que ya estaban en el mercado, pero han significado un aumento exponencial en el uso de agrotóxicos. (Benbrook, 2012; Gurian-Sherman, 2009). Esto se tradujo además en fuertes impactos negativos tanto en salud pública como en el medio ambiente en todos los países donde se han cultivado a gran escala. Los cultivos transgénicos han sido un instrumento clave para facilitar la mayor concentración corporativa de la historia de la alimentación y la agricultura. The U.S. is poised to approve new crops genetically modified by Dow AgroSciences to withstand two herbicides; glyphosate and 2,4-D, in what the company calls its Enlist Weed Control System. If approved, these crops will represent the onset of the second generation of GM herbicide-resistant crops in the country after the first generation of Monsanto’s glyphosate-resistant crops called Roundup Ready, which have unfortunately resulted in a rise of glyphosate-resistant weeds. If released, Enlist is projected to increase the use of herbicides in the country drastically; the U.S. Department of Agriculture (USDA) estimates this at 78-176 million pounds. While Dow and the U.S. Environmental Protection Agency (EPA) are saying that there is no or minimal risk of harm to people and the environment, evidence suggests otherwise. For instance, a review of epidemiology studies found a significant link between 2,4-D exposures and non-Hodgkins lymphoma while there are several studies linking 2,4-D exposure and birth defects (Item 1). Public-interest groups have slammed the EPA and USDA for seriously underestimating human health and environmental concerns and perpetuating a “chemical arms race with weeds”.Prominent doctors, scientists and business leaders have also urged Congress to pressure the Obama administration to reject Dow’s application (Item 2). Tolerance to 2,4-D has already been found in several weed species while weeds resistant to multiple herbicides have also been documented, raising fears that weeds will also eventually develop resistance to 2,4-D.
El artículo narra un supuesto debate civilizado entre el célebre autor y periodista de la agricultura y alimentos Michael Pollan y la científica Pamela Ronald, propagandista pro-transgénicos. There was a trace of mischief in Michael Pollan’s smile as he took the stage of Wheeler Hall at the University of California, Berkeley, last week to introduce a lecture for a course that he co-teaches, with the activist Raj Patel, called Edible Education 101. The auditorium was crammed with seven hundred students, most looking as you might expect young Berkeley food activists to look: wholesome and bright-eyed, visibly eager to help make the global food system “more equitable, healthful and sustainable,” as the course mission states. This group constituted a kind of monoculture, and Pollan was about to introduce an invasive species. Pamela Ronald, a prominent plant geneticist and a professor at U.C.-Davis, had come, at Pollan’s invitation, to present her perspective on the benefits of genetic engineering—even though Pollan himself has been avocal skeptic of G.M.O. foods. “If anyone can make the case for this technology, it’s Pam Ronald,” Pollan told the audience. Este tipo Pollan va resbalando. Está figureando mucho en los medios, faranduleando y joceando la fama. Ya dos fuentes me han confirmado que cobra $10 mil por charla. El nunca estuvo enteramente de nuestro lado. 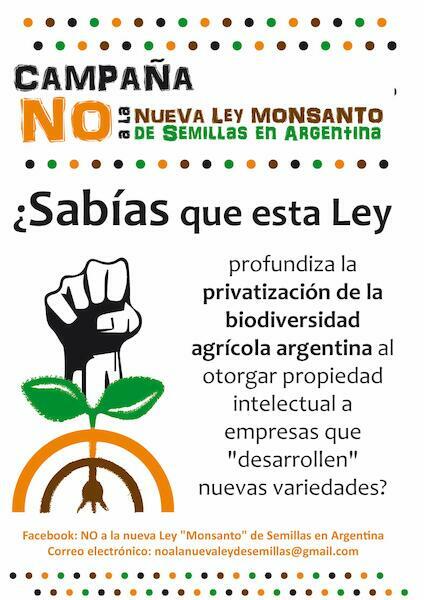 A la misma vez que se ha asociado al "food movement" también ha pretendido quedar bien con todo el mundo, como todo un periodista "objetivo".